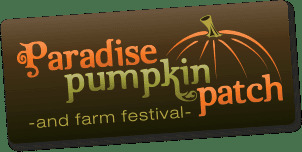 What: It's time for our annual trip to the Paradise Pumpkin Patch! Paradise Pumpkin Patch is offering a special day for Home Schools. This day is catered to home school children. All activities will be available based on the childs ability to enjoy them safely. Also a small pumpkin will be given to each child. The concessions stand will be available and we will have hamburgers, hotdogs, chips, soft pretzels, popcorn, nachos, cotton candy, snow cones, ice cream, boiled peanuts, various drinks and much more to choose from. We have two picnic areas to enjoy your meal and a gift shop. Please wear comfortable shoes and proper farm attire. Check the weather and dress accordingly. If severe weather is threatening, please call ahead to make sure we are open. Paradise Pumpkin Patch and its staff is getting ready to kick off our eighth year of operation. We have continued to update and improve our facility by adding more attraction and animals for everyone to enjoy. Our farms now include a Baby Buffalo, Zebra, Camel, Kangaroo, Water Buffalo, and a Scottish Highlander. We would like to invite your organization to come spend the day at our farm. For those who have visited our farm in the past I think you will be impressed with the changes we have made to make your field trip more enjoyable than ever. Paradise Pumpkin Patch is located just west of Eufaula in Baker Hill, Alabama. Where: GPS enter this address: Hawkins Road, Eufaula AL or the intersection of 79 south and 131 and we are 3 miles north on 79 south. Take 231 South to Highway 82 to Union Springs or Highway 110 to highway 82 to Union Springs continue on highway 82 through Union Springs to Midway take 51 south (right) to Clayton. In Clayton take Highway 30 east (left) go toward Eufaula go south on 79 south (right) go 5 miles and Paradise Pumpkin Patch will be on the Left. Approximately 65 miles from Highway 231 and 82 intersection. Who: Open to all homeschoolers. We have also had school friends join us if school is out for Columbus Day! The more the merrier! We just love going as a group. PLEASE LET ME KNOW IF YOU ARE COMING, HOWEVER, AND HOW MANY CHILDREN AND ADULTS SO THAT I CAN TURN OUR NUMBERS IN. THIS HELPS THEM TO PREPARE FOR US (HAVE ENOUGH PUMPKINS, CORN FOR AIRGUN, FOOD IN SNACK SHOP, ETC ETC) AND HAVE ENOUGH STAFF ON HAND.